Unless they are singing the song, how often do you really hear someone say, "I like to move!"? The last time I moved I was only 19 years old with little to my name, yet I still remember it being stressful. Everything from the process of home building, packing, planning, shopping, moving, unpacking.... I am exhausted just thinking about it all over again. I get asked quite frequently for organized moving tips, and although I think I know what I would do if I were to pack up our family and move, actually having the experience doing it is entirely different. However, Megan of The Homes I Have Made is a moving wizard. She has moved her family numerous times and has learned many useful tricks along the way. 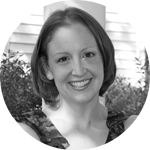 She is here today to share how she eases their moving pains. Happy Spring, iHeart readers! I am so thrilled to be back here today sharing another organizing project. 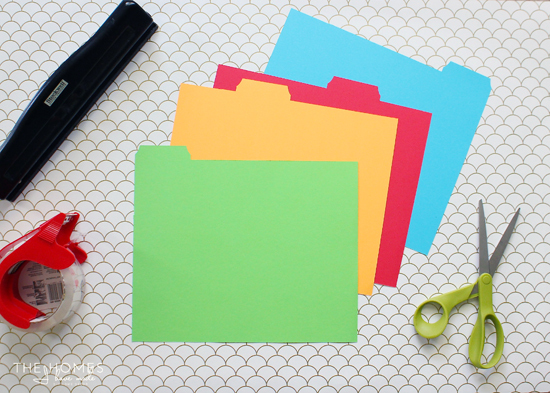 While I love getting my hands dirty and creating unique organizing solutions, today I’m going to share a bit of a different organizing task. My family and I are just a few short weeks away from our next cross-country move. As a military family, moves are both expected and frequent (in fact, this will be move #6 for us in just under 10 years). Even though we do them often, it doesn’t mean they are effortless or stress-free. There are so many tasks, chores, errands, and plans that need to be carefully organized and managed when you uproot and move your entire life. While I would love to share all of my moving tips and tricks, it would be enough content to fill a 10-part series. So instead of telling you how we pack our boxes or label our inventory sheets, I want to share how my husband and I organize the logistics of our moves, as well as keep track of all of our important moving/life paperwork…all in a two-part paper+digital system we’ve developed over the years! Probably like many of you, I am a passionate list-maker. Lists help me remember important to-dos, prioritize tasks, and feel accomplished when I get to line through completed items. If there’s one time in life to make a list, it’s during a move. The amount of things to do and keep track of is seemingly endless. Years ago, my husband created an Excel spreadsheet that detailed every single, minute task we needed to complete during the moving process. 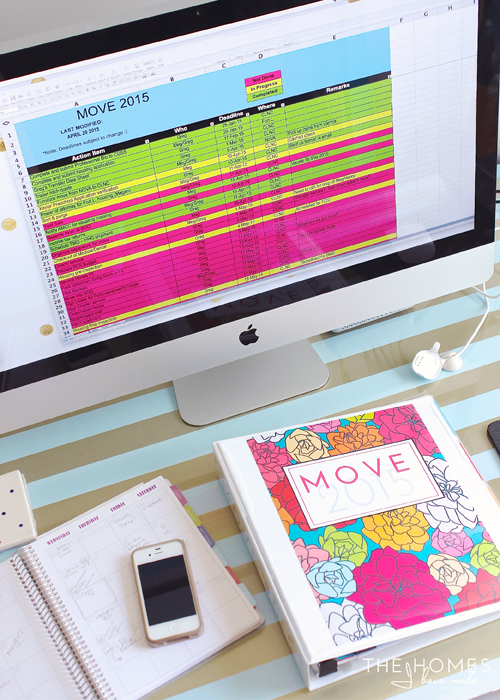 With each subsequent move, we pull the old spreadsheet and update it with current tasks and pertinent information. In my day-to-day life, I am a pen-and-paper kind of girl; however, our family master moving to-do list is the one case we go completely digital. 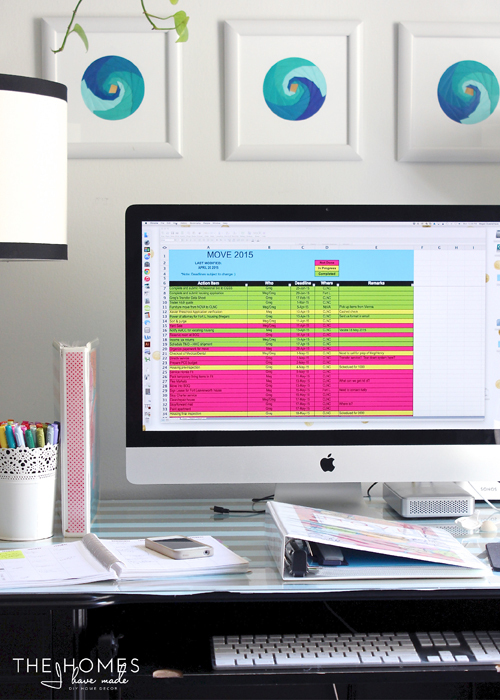 The digital spreadsheet is not only something we can use over and over again (key for people who move frequently), but it also allows us to modify and update the list without having pages and pages of written and scratched-out items. Our spreadsheet is organized by Action Item, Person Responsible, Deadline, Location, and Additional Notes. By having these categories on an electronic list, we can easily sort by priority, person, and due dates, as well as delete out and add in items as necessary. My husband and I review the checklist together each weekend in the weeks leading up to our move to ensure we are staying on top of deadlines. We also share it via Dropbox so we can update it in real time! I love having our master to-do list electronically, but we also rely on two other paper systems to keep our move organized and on-track. With the stack of important move-related paperwork growing on my desk, I knew it was time to assemble our moving binders! One of the first things you learn as a military spouse is there are a few things you never ever, ever send inside moving boxes: jewelry and personal documents (birth certificates, passports, marriage certificates, etc). These things should be carried with you as you travel from one home to the next. While bringing a locked filing cabinet on the journey would be ideal, it’s also not very practical. So before embarking on each move, I assemble a binder of all of our very important family documents. Binders are convenient, but you typically don’t want to punch holes in these special documents. 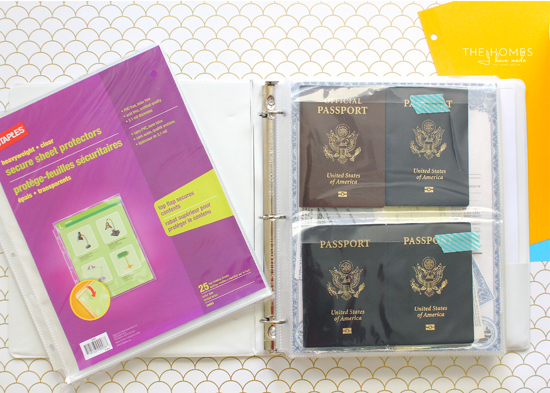 My go-to solution is clear page protectors…specifically the ones with the fold-over top so items can’t slip out. You can get them in the full-page size (ideal for powers of attorney, wills, and medical files), as well as segmented versions (great for passports, shot records, social security cards, etc). 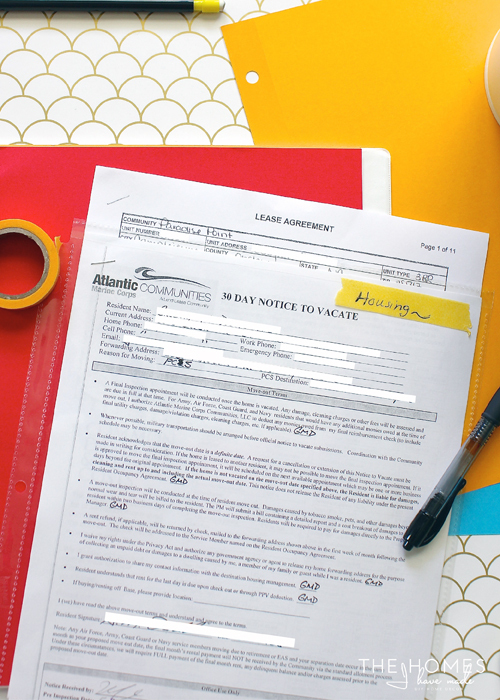 By having everything singled out into individual pages, finding specific documents is quite easy! You’ll note I kept the outside of the binder relatively un-assuming so that people won’t immediately know what is inside; and we are extra diligent about keeping this binder in hand (while traveling) and locked up (in hotels) at all times. The other binder we keep handy at all times during our move is our Moving Binder! 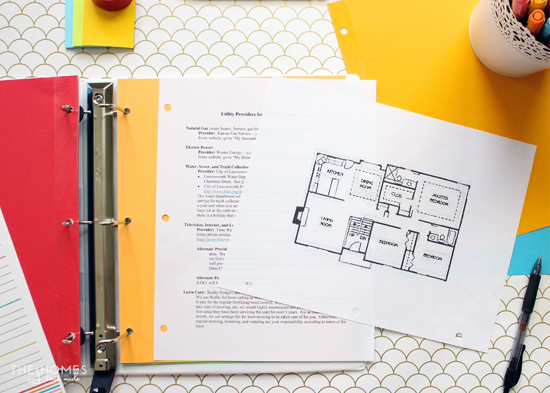 Although we are a digital society, there is still so much paperwork associated with moving, and we’ve found a dedicated binder is the best way to keep it all sorted, handy, and easy to find! 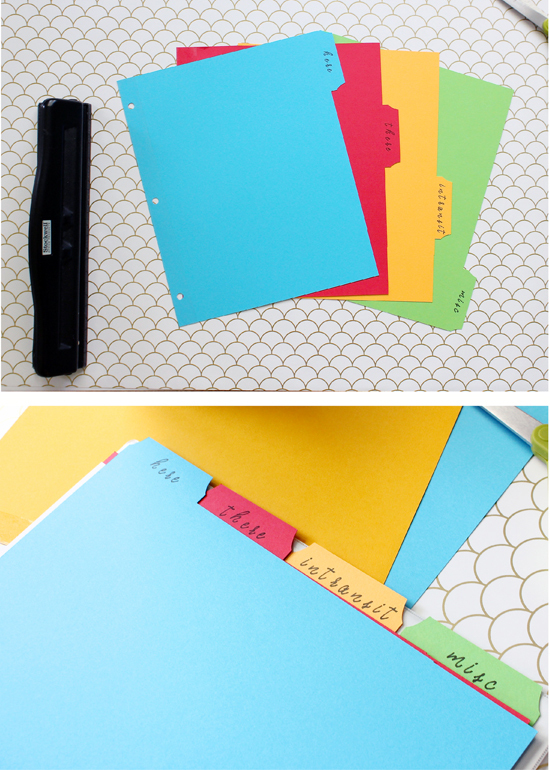 Sure I could have just thrown everything into a binder with a few dividers and page protectors and called it a day; but I love pretty organizing solutions and handy printables about as much as Jen does, so I spent a rainy afternoon pulling together this fun binder to keep us organized in style! All the colors and graphics were pulled from a free digital scrapbooking set: Color Me Spring from Elle Designs. 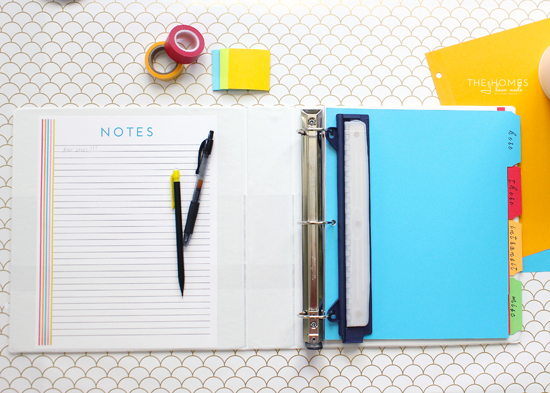 I didn’t have any dividers on hand, so I made a quick set…much easier and cheaper than running out to the store! 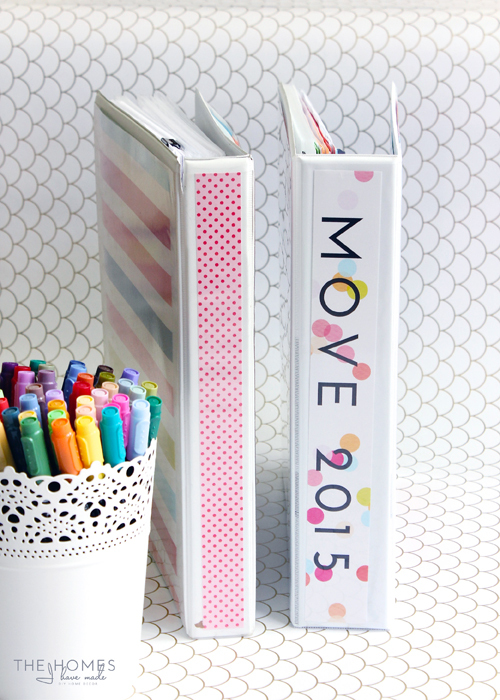 I started by designing the divider shapes in the Cricut Design Space software and cutting them from 12x12 cardstock. To reinforce the holes, I covered the edges in clear packaging tape and then trimmed the excess down with a paper cutter and scissors. I punched holes with a 3-hole punch and added text also using my Cricut Explore. In about 20 minutes, I had dividers ready to rock in my binder! With my dividers made and my printables printed out, my binder came together super quickly and is ready to be vigorously added to over the next few weeks. 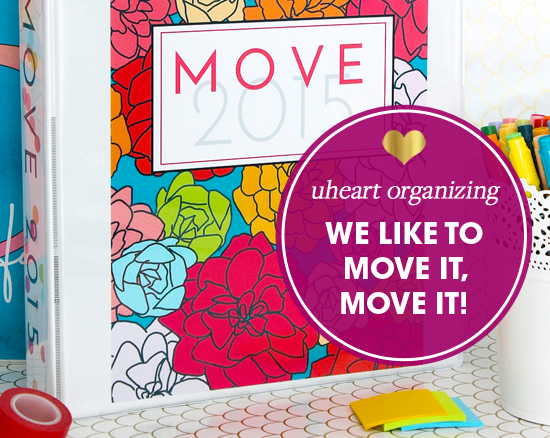 Let me show you just how we stay organized moving from one state to another! In the front of the binder, I keep a simple Notes sheet for jotting down quick reminders, notes, phone numbers etc. I also include a simple 3-hole punch for adding items while we’re on the road! Behind the "Here" tab is everything related to our current home and the packing up of all of our stuff. This is where we keep: our current lease, housing inspection/checkout sheet, official inventory lists from the packers, our personal inventory of expensive items (specifically electronics with serial numbers), local utility company names/numbers/accounts/passwords to terminate services, and personal packing lists. For thick, bulky items, I use page protectors for ease and accessibility. Behind the "There" tab is everything we have or will need as we move into our next house. This is where we keep: our new lease, inspection sheets, floor plans, utility company names/numbers to setup new services, a running list of Needs/To Buy for the new house, local area information (closet grocery store, pizza place, pharmacy etc) and more. In our moving binder, I always include the measurements of all of our furniture, rugs, and other large household items (all measured before we pack up, of course!). Quite often, we are able to get into our new house well before the moving trucks arrive. By having exact measurements of our large items in hand, we are able to get a good start on the floor plan. In turn, this allows us to get settled faster because we are able to tell the movers exactly where to put items instead of having to play musical furniture for days! Behind the "In Transit" tab is all the information we will need or acquire as we literally travel from our old home to our new home. Depending on the distance we’re moving, there is a potential to live “on the road” for days or even weeks without a home or our belongings. Quite often, there are many different hotel reservations, tourist attraction reservations, and more to keep track of. To keep me from constantly scrambling through my phone for the right reservation or address, I like to keep all of our destination points on one handy sheet. We also track all of our traveling expenses, and tuck our receipts into another page protector so we can file claims on the other end. When all of your belongings are packed into boxes on a truck driving across country without you, it can be very unnerving when you can’t find your passport or your new landlord’s phone number. 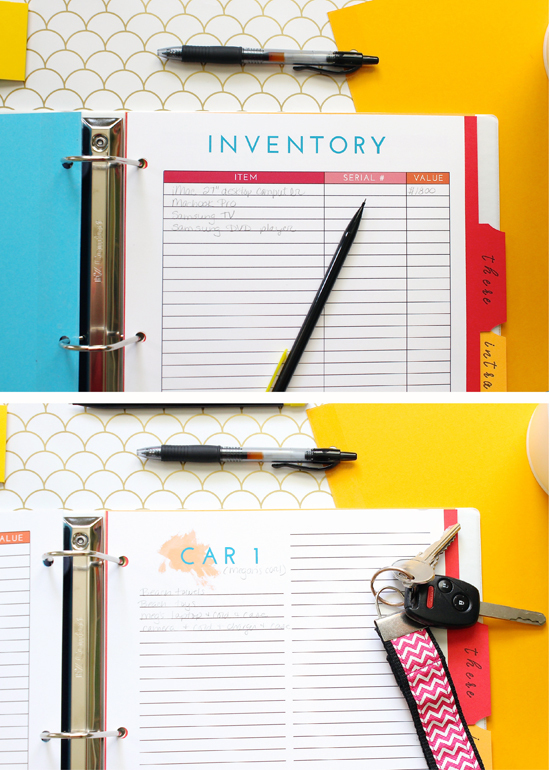 We’ve found that corralling all of our personal documents and move-related paperwork into two easy-to-keep-track-of binders keeps anxiety at bay and the right information at our fingertips at all times. By setting up these systems weeks before the movers are set to arrive, I now have a landing spot for everything and anything that comes into our hands! While I would love to show you what I’m doing right now behind the scenes at my house to literally get ready for the movers to arrive, I’m living in a state of somewhat-controlled chaos! I hope you enjoyed this broad-range glimpse at what all is involved in a long-distance move and our techniques for staying on top of all the moving parts. While each family who moves a lot has their own tips and secrets they’d swear by, I’m pretty sure we’d all agree that proper planning and good organization can make the difference between a bumpy move and a smooth move! Thanks again to the lovely Jen for having me stop by today. The next time I am here, we will be moved into our next house so I will have lots of organizational and home décor projects in the works! Be sure to stop on by and follow me as we transition to our next “new” home over at The Homes I Have Made! YAY! 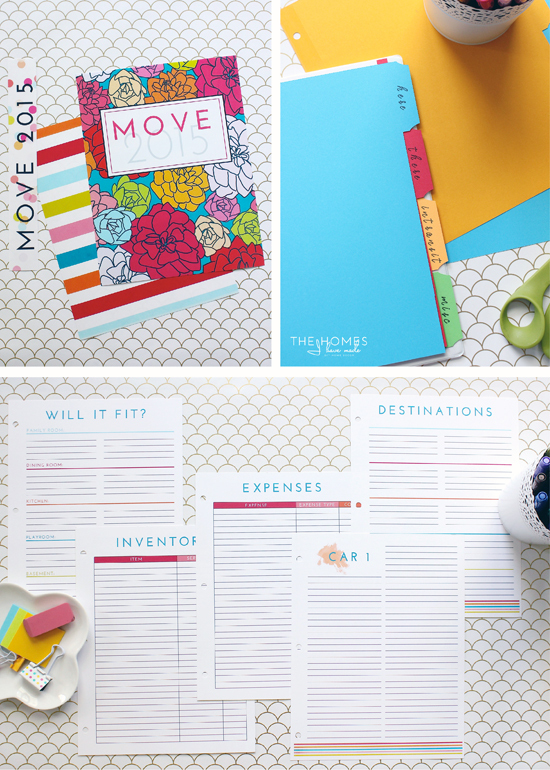 The Smooth Move Binder printables and Master Moving Spreadsheet are available for download here! LOVE THIS!! As a military family, I know we have a few more moves coming up over the next few years and I usually put something together similar to this but not as pretty!! Thanks for sharing!! Great tips! All I can say is thank goodness I don't have to move for a long time. The last time I did, it was across the country and rather stressful! This is a VERY useful post, and its timing couldn't be more perfect! Thank you Megan for taking the time in the middle of your "somewhat-controlled chaos" to write this. I'll put these to good use, as I'm in a relationship with an Air Force man! ha ha. Thanks so much! 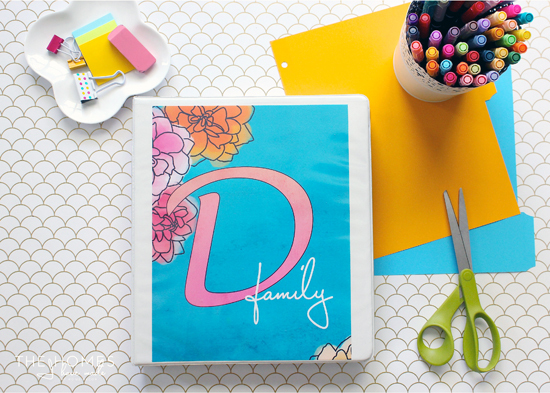 I wonder if you would make your worksheets available as printables? You are awesome! 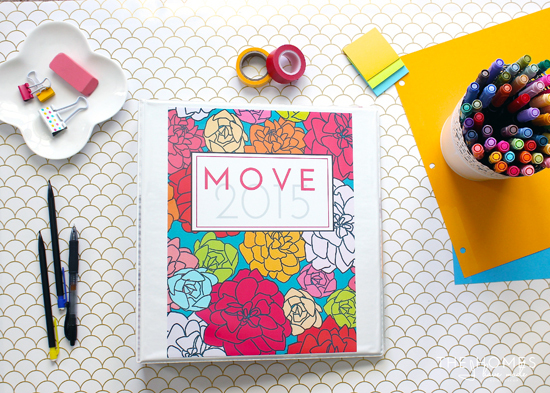 I love all of these ideas, especially since I am a big fan of organizing myself. I love how everything is so colorful too. This is move 13 coming up for us in June, and our second overseas move, but looking through your list I had almost forgotten to measure my furniture! I leave for London to look for a flat on Sunday and I need to make sure our big American sectional can fit through the doorways of a small London city flat! So thanks! So many genius tips! I hate moving and don't plan on doing it again for a year or two if I can help it. The last move was just me and my hubby and that was stressful enough! Can't imagine doing it with kids too! This post could not ahve come at a more peferct time as my husband and I are set to complete on our new house in 8 weeks' time. Although we only live on a small 9miles x 5miles island (Jersey in the Channel Islands) so the move won't be anywhere near as stressful for us as it will be for you. But I will definitely be using your tips and advice. Thank you so much for sharing! 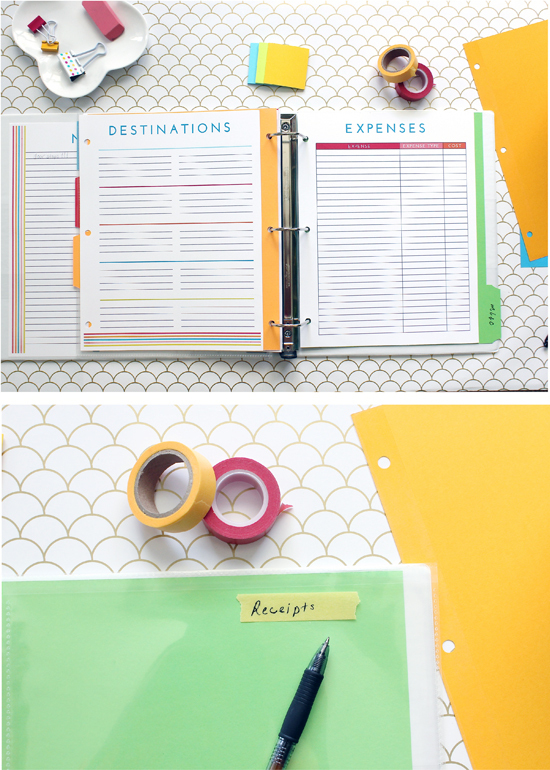 Love the binder and spreadsheet idea. 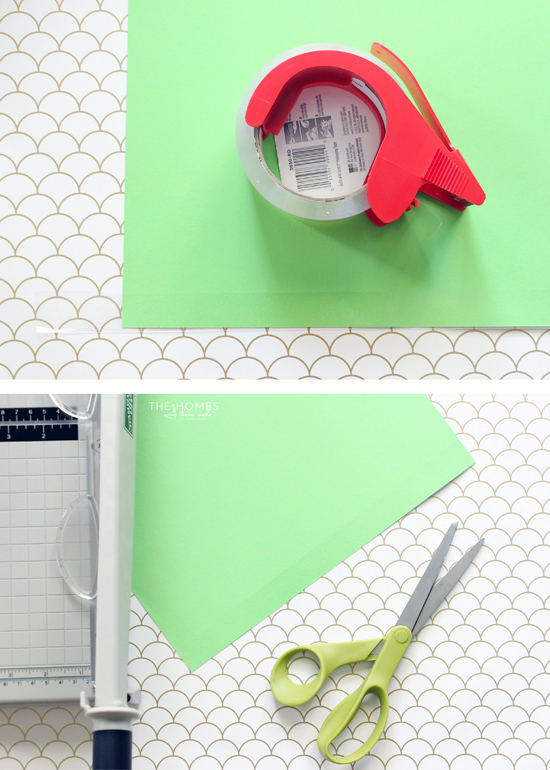 But most of all I really LOVE the way you created dividers! 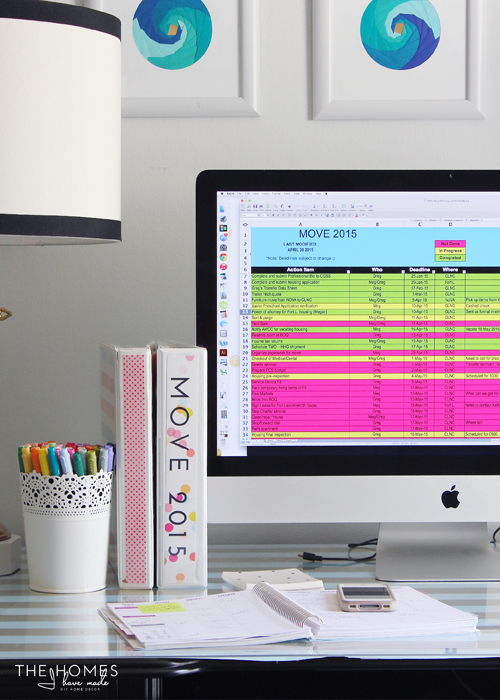 I would love more details about the moving spreadsheet you made. We move every few years and it seems like I am always forgetting something that needs to be done. This would make it so easy to have it all written down. We're getting ready for a big move. 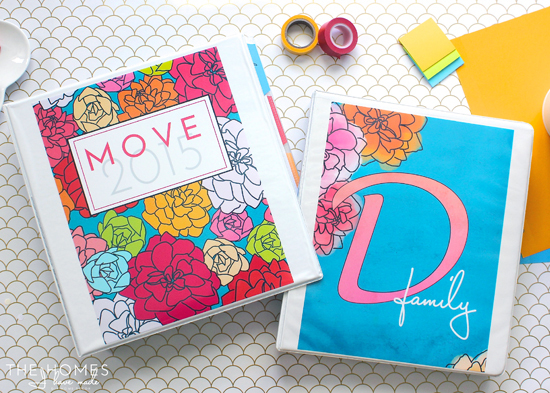 I'm a big fan of binders, though I've never made one for moving. Thanks for sharing! Thanks for your tips Megan. The binders are genius!! I just moved 3 days ago. The one thing that has kept us sane every time we moved has been my handy list with just 3 simple column: box number, content, room where it should go. It allows us to know which box to open as soon as we can so we can both get back to work right away and not have to open every box to find one item. Perfect timing, Megan! We'll be moving at the end of this month (we're military too). Are your forms available for download? Love this! We are getting ready to do a cross country move in a month. Are your forms available for download? This is all very helpful. I'm not moving to a different place, but I'm currently just moving things around three of the rooms in my house. (I live with my parents). In which that they are allowing me to take over two rooms since my baby will be here in August. On top of that my bf is moving in with all his stuff, so I'm definitely all about making a list and trying to figure out what needs to be done. Definitely needing to make a binder and check list, so I don't forget everything! Wow, this is seriously so organized. I strive to be this organized in my life right now! 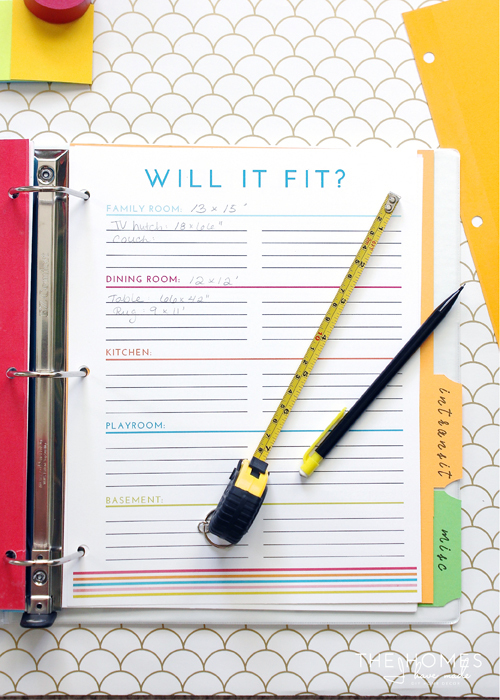 I love your idea of keeping measurements of your furniture and large items! What a great way to prepare for moving! I'm thinking of moving soon, so tips like these are exactly what I'm looking for. Now I just need to secure good removalists, and I'll be well on my way. Thanks for the tips!